Bryce Harper remains one of the top free agents on the market. The Phillies' hunt for a superstar reportedly will take them back to Las Vegas this month, as their wait for Manny Machado has not removed them from the quest for Bryce Harper. Machado is expected to sign this month with the Phillies, Yankees, or White Sox. He remains the Phillies’ top priority this winter, but the Phillies are positioning themselves to pivot to Harper if Machado goes elsewhere. 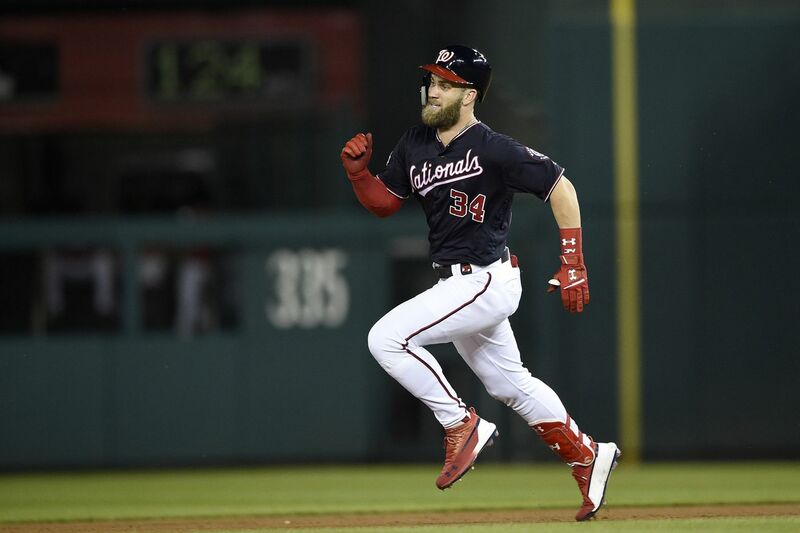 The Phillies, according to a report by NBC Sports Philadelphia, have scheduled a meeting for later this month with Harper in Vegas. The Phillies met with Harper’s agent, Scott Boras, last month at the winter meetings, but they did not meet with the slugger during their four-day stay in his hometown. With six weeks before spring training, most of the Phillies’ focus will be on landing a superstar. But they are continuing to look for improvements elsewhere. The Phillies are content with their starting rotation, but they are also exploring upgrades, as they have searched throughout the offseason for ways to add left-handed pitching. Robbie Ray, 27, might be that upgrade, if the Diamondbacks are willing to part with him. Ray has a 3.34 ERA over the last two seasons, while striking out 12.1 batters per nine innings. Arizona made Ray almost untouchable at the beginning of the offseason, but that seems to have changed. The Phillies are not keen on signing left-hander Dallas Keuchel to a five-year deal, but as the offseason rolls along, the free agent could lower his demands, as Jake Arrieta did last year. The Phillies could then swoop in on Keuchel, as they did when they signed Arrieta to a three-year deal. Machado visited the Phillies, Yankees, and White Sox last month but elected to wait until 2019 to make his decision. The calendar turned Tuesday, but there has been little buzz from Machado’s camp. The Yankees signed veteran shortstop Troy Tulowitzki on Wednesday, but they remain the Phillies’ biggest competitor for Machado. If Machado goes to the Yankees, the Phillies’ pursuit of Harper will kick into overdrive. The Phillies charted a path to begin spring training with a superstar on their roster. And that path apparently will take them back to Vegas for one more spin of the wheel.